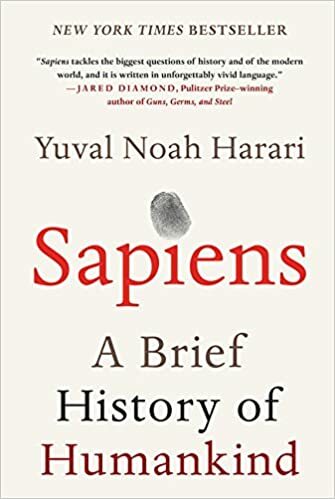 Sapiens is a groundbreaking account of how mankind has evolved over millions of years. It shines light over the slow process of evolution, and provides a vivid picture of the basis of the culture, food, relationships, politics, and many more aspects of our kind. There are tons of things to learn from this book, and opportunities to transform our belief structure. There is so much content to digest, that it becomes overwhelming for one to remember. My goal for this post, is to identify some relevant inferences that I derived from the book. This post then becomes a north star for me to recollect and rediscover every time I have to get back to this book. Cooking opened the way to the jumbo brains of Neanderthals and Sapiens. Cooking led to shortening of intestines and decreasing energy consumption for digestion. This meant the most amount of energy was available for massive brains, that account for upto 25% of total energy. Homo sapiens could have droven the other species to extinction. Sapiens may have led to the most significant ethnic-cleansing campaign in history. There could also be a possibility that other species were over-numbered by the sapiens who had superior social skills. Soon, the other species were extinct, leaving Sapiens in charge of the human kind. Imagined realities like a state, country, organization have become more powerful than the objective reality like rivers, trees, and lions. The imagined realities only exist if the sapiens cooperate based on a common understanding. This understanding does not have any materialistic value, and merely exist in the agreed consciousness of sapiens.